At Dara, we believe that temporary sites deserve the same level of quality as a permanent installation. With that in mind, our temporary power board solves the problem of providing safe and reliable, temporary power to construction sites, building sites and mining sites. Our design is fully compliant to AS/NZS3012 which helps electrical contractors to satisfy regulatory requirements on construction and demolition sites and all Dara temporary boards feature RCD protection overload protection as well as overload protection on all circuits. 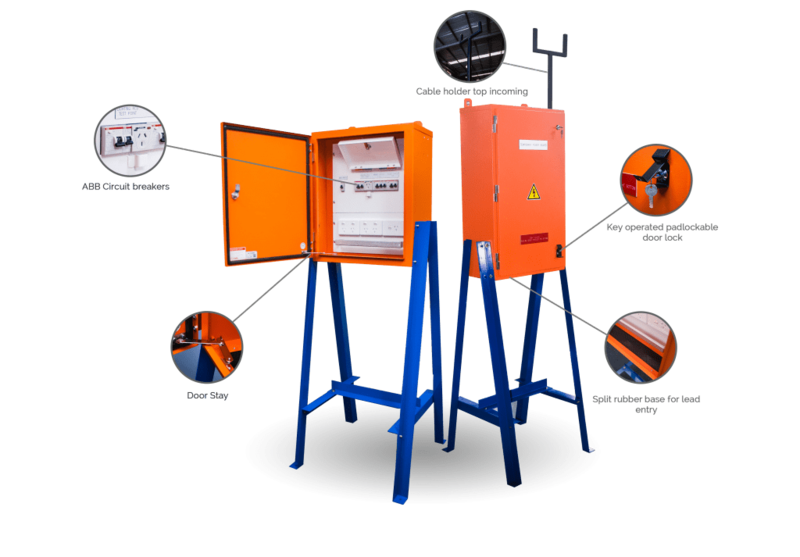 A solid powder-coated enclosure, built to handle the toughest conditions, completes the package and ensures you have the temporary power distribution required to complete the job. Our temporary power board solves the problems of providing safe and reliable, temporary power to construction sites, building sites and mining sites. 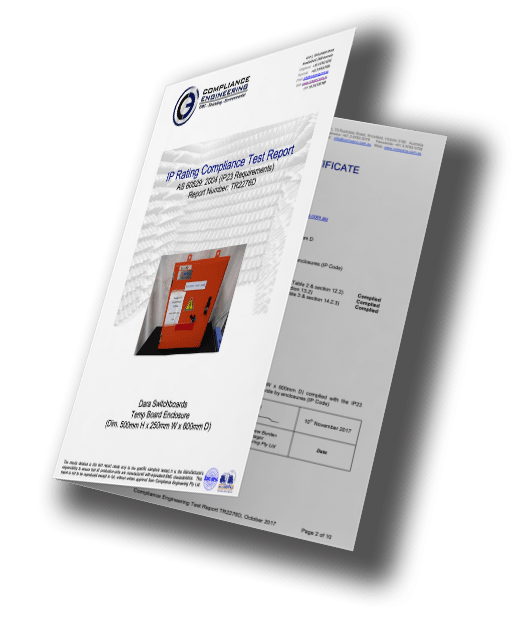 Our design is fully compliant to AS/N153012 which helps electrical contractors to satisfy regulatory requirements on construction and demolition sites. The drop down door with a strong door stay providing a more practical solution for onsite construction. All Dara temporary boards feature RCD protection and also overload protection on all circuits. A solid powder-coated enclosure, built to handle the toughest conditions completes the total package. Finding a safe and reliable temporary power for your site can often prove to be a problem. At DaRa, we aim to take that problem away with our high quality, efficient and ultra-reliable temporary power boards. Suitable for a wide range of applications, including providing power for construction sites, building sites and mining sites, our temporary power board has been designed to be fully compliant to AS/ANZ3012 which will ensure that you satisfy regulatory requirements on construction and demolition sites. As a leading supplier of both standard and custom switchboards, you can guarantee that all the temporary power boards for sale at DaRa will not only satisfy regulatory requirements, but will deliver reliable and practical temporary power provision on site. Each of our temporary power boards come with a drop down door, complete with a strong door stay to ensure both safety and practicality. 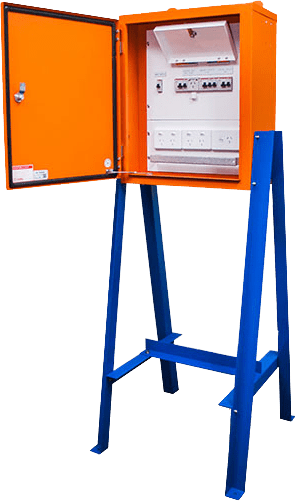 Of course, they all feature RCD protection and overload protection on all circuits as standard, and come encased in a solid powder-coated enclosure that’s been built to withstand the toughest of conditions. Our temporary power board also comes with a heavy-duty stand to secure to the floor, and keep it easily accessible at all times. While our standard boards are likely to suit most applications, we understand that sometimes you need something a little different to meet your specific needs. We can design and build a custom temporary power board to your specifications, and deliver it within your timeframe. We have manufactured such customised mining duty temporary power board solutions to BHP MOOKA OCR project to provide temporary power during its construction stage. We have a proven reputation for delivering to tight schedules, so give us a call and we’ll do our best to meet your deadline. If your site could benefit from a safe and reliable temporary power board, it makes sense to trust one of Australia’s leading suppliers of switchboards to provide a power board that will ensure that you get the power you need. To place your order simply get in touch with the sales team on 03 8544 3300, or for costings for a custom temporary power board, either call, send an email info@dara-switchboards.com.au, or complete our online contact form and we’ll get back to you with a quote as quickly as possible. When you buy a temporary power board from DaRa, you’ll not only be guaranteed a top quality product that meets all the required safety standards, but you’ll be getting the benefit of our famous DaRa customer service too. As suppliers to many multi-national companies, and businesses all over Australia, our aim is to always give our customers complete satisfaction. Our boards are built tough to withstand the rough treatment at construction sites and you won’t have to buy another temporary power board for your next field job. Also all the individual socket outlets in our boards are overload protected giving extra protection for all your electrical tools used on the construction site. Purchase our temporary power board and you’ll be backed by our comprehensive in house manufacturing and on-site support.